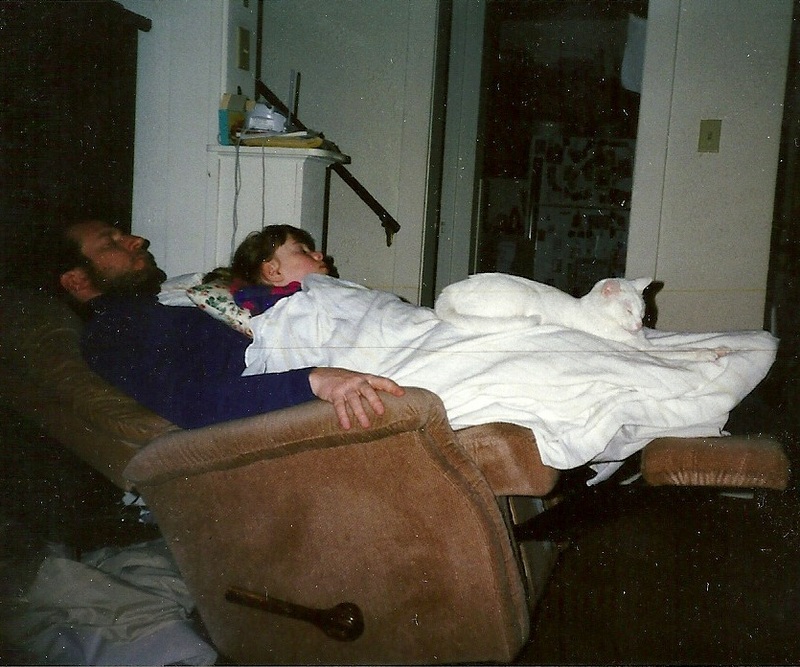 My wife uncovered this ten-year-old image of naptime. The young miss at age five, I believe. Splinter, our last white cat. Must have been a rough day at the parish, at pre-K, and in the rat race.